Heavy-duty haulage undertakes some of the most fascinating tasks in the transport industry, moving items such as giant turbines and transformers, marine diesel engines, machinery, boilers and wind power plants. 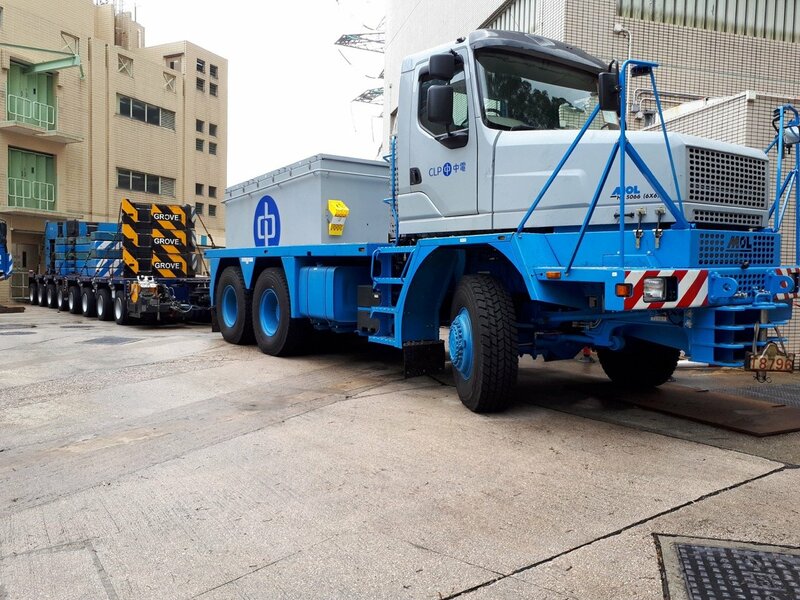 MOL CY NV, the Belgian independent manufacturer of trucks, trailers and refuse collection vehicles, has delivered a new HF5066 extra heavy haulage truck to a customer in Asia. Powered by the 550 hp Cummins ISX15 engine, the vehicle has been purpose-built for heavy-haulage duties. The vehicle features a fully automatic Allison six speed transmission with overdrive, 5 road-going ratios and one crawler gear plus two ratios in the transfer box, all of which provides an exceptional range of gear ratios and mobility out of the ordinary. Including the ballast box, the truck has a curb weight of 52 tonnes. Its maximum geared road speed is 55 km/h and it can pull a gross combination weight of 400 tonnes at level ground and 230 tonnes at 15% gradient. Push and pull tow bar couplers are fitted at the front and rear of the tractor for towing and pushing the extra heavy haulage trailers.